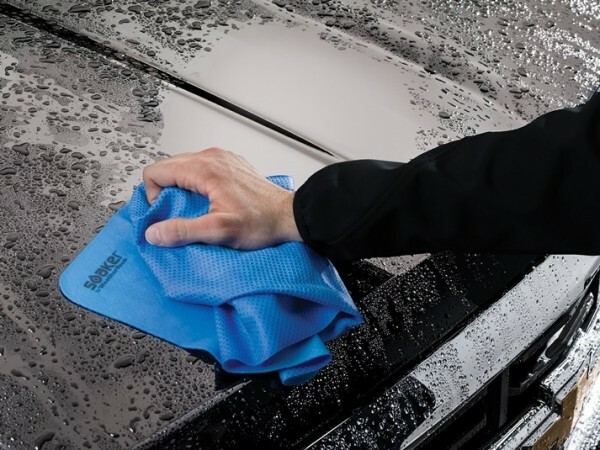 Soaks up water to quickly dry your vehicle without streaking. Smooth surface on one side and textured on the other for different drying style needs. 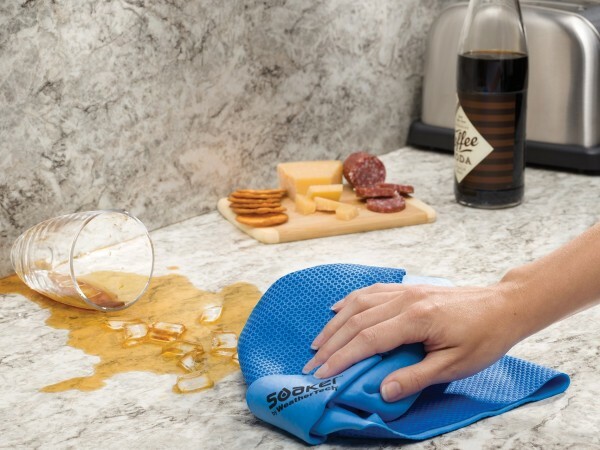 Soaks up water faster, and holds up to 50% more than a regular towel or chamois. Synthetic material is superior to chamois or terrycloth. Great for cars, trucks, motorcycles, boats, planes, animals, household items and more. Does not leave lint behind. Hinged Storage Box and printed materials Made in USA. Helpful Tip: Routinely washing the Soaker will help keep it in prime condition and prevent odors.